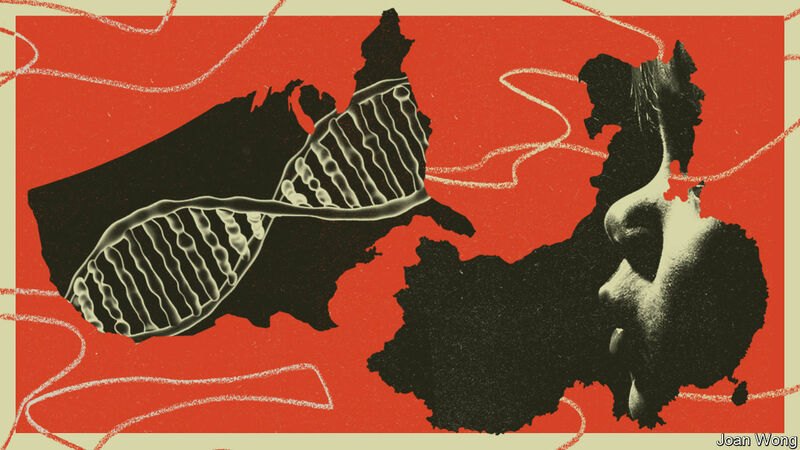 THE ANNOUNCEMENT in November of the editing of the genomes of two embryos that are now baby girls, by He Jiankui, a Chinese DNA-sequencing expert—brought much righteous, and rightful, condemnation. But it also brought a lot of tut-tutting from the outside world about how this sort of thing was to be expected in a place like China, where regulations, whatever they may say on paper, are laxly enforced. Dig deeper, though, and what happened starts to look more intriguing than just the story of a lone maverick having gone off the rails in a place with lax regulation. It may instead be an example of a phenomenon called ethics dumping. Ethics dumping is the carrying out by researchers from one country (usually rich, and with strict regulations) in another (usually less well off, and with laxer laws) of an experiment that would not be permitted at home, or of one that might be permitted, but in a way that would be frowned on. The most worrisome cases involve medical research, in which health, and possibly lives, are at stake. But other investigations—anthropological ones, for example—may also be carried out in a more cavalier fashion abroad. As science becomes more international the risk of ethics dumping, both intentional and unintentional, has risen. The suggestion in this case is that Dr He was encouraged and assisted in his project by a researcher at an American university. The scientist in question is Michael Deem of Rice University in Houston, Texas. Dr Deem was Dr He’s PhD supervisor between 2007 and 2010, and has continued to collaborate with him. The two are co-authors of at least eight published papers and several as-yet-unpublished manuscripts. Dr Deem also appears (along with nine others, all Chinese, including Dr He) on the author list of a paper, “Birth of twins after genome editing for HIV resistance”, which Dr He submitted to Nature before his announcement of his work at a meeting in Hong Kong. Nature’s editors rejected the paper (and will not, as is normal procedure in the case of rejection, confirm that they actually received it). In America, in effect, the implantation of genetically modified embryos into a woman’s womb is forbidden. Such an experimental medical procedure would require permission from the country’s Food and Drug Administration, and such permission would not be forthcoming. Carrying on regardless would be a federal crime and one that, according to Hank Greely, a lawyer and bioethicist at Stanford University, might attract a fine of as much as $100,000, and a year in jail. For an American to support the execution of such work in another country is, though, a different matter. That would not be illegal under American law—though it would still violate federal rules if Dr Deem participated in the project without the approval of his university, which is investigating his role in the affair. Rice says it “had no knowledge of the work”, and, to its best knowledge, “none of the clinical work was performed in the United States.” It would not comment on the ongoing investigation. Neither Dr Deem nor his lawyers would comment on the specific suggestion that he had committed ethics dumping. Zhai Xiaomei, the executive director of the Centre for Bioethics at the Chinese Academy of Medical Sciences, in Beijing, who is also deputy director of the health ministry’s ethics committee, welcomes what TRUST has done. “China’s weak ethics governance has made it an attractive destination for the export of unethical practices from the developed world,” she says. One high-profile case in China concerns Sergio Canavero, an Italian neurosurgeon who resigned from the University of Turin in 2015 because of fierce opposition to his plan to perform head transplants on human beings. Knowing that no country in Europe or North America would approve such procedures, Dr Canavero went to China, which he says “is quite different from the West” and “has a different ethics”. A dozen similar cases in Asia and Africa fill “Ethics Dumping: Case Studies from North-South Research Collaboration”, a book published by TRUST. Three notable examples are American-financed clinical trials that happened in India between 1998 and 2015. These were testing the efficacy of cheap cervical-screening methods. Such trials require control groups, which, in America, would be composed of women undergoing an established screening procedure. In the Indian trials, however, the controls—a total of 141,000 women—were not offered the pap smears that were supposed (though they were in practice often unavailable) to be the standard for screening in India at the time. Nor need behaving badly abroad as a researcher be life-threatening to be unacceptable. Another case highlighted by TRUST involved the San, a group of people in southern Africa well known to (and well studied by) the outside world because of their hunter-gatherer way of life, click-laden languages and ancient rock art. In 2010 a paper published in Nature on the first San genome to be sequenced caused an outcry among some San. According to Roger Chennells, a human-rights lawyer at Stellenbosch University, in South Africa, they found the consent procedures inappropriate and some of the language used in the paper, such as “Bushmen”, pejorative. As part of the TRUST project, Mr Chennells and his colleagues helped groups of San develop the first code of ethics created by an indigenous group in Africa. It requires researchers wishing to study San culture, genes or heritage to submit proposals to a review panel set up by San communities. It also asks researchers to treat people with respect, and to consider how their work could benefit local health care, education and jobs. Analysis of past transgressions has led TRUST’s researchers to suggest a set of guidelines called the Global Code of Conduct for Research in Resource-Poor Settings. This aims to raise awareness of bad practices, and to identify potential offences. A cornerstone of the code is that ethics reviews be conducted in all participating countries—those where the work will be carried out as well as those paying for it. According to Dr Schroeder, two European funding agencies—the commission itself, and the European & Developing Countries Clinical Trials Partnership, a joint effort by the EU, Norway, Switzerland and a group of drug companies—have already accepted the code. Meanwhile, in America, Kiran Musunuru, a gene-editing expert at the University of Pennsylvania, who was one of the first to look at Dr He’s data last year, suggests the creation of an international register for research involving the genetic modification of human embryos, with registration being a condition for subsequent publication. Next PostNext Democratic party class of 2020: Who will face Donald Trump?